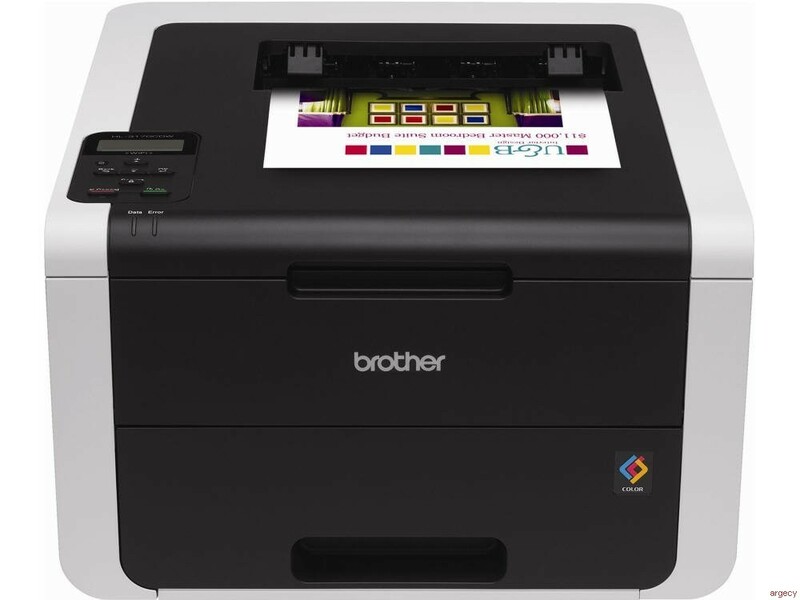 The Brother HL-3170CDW is a perfect choice for the small business looking for a fast, reliable digital color printer. It packs big business features like duplex printing into an affordable, compact printer designed to fit your small business workspace and budget. It prints high-impact color and crisp black documents at up to 23ppm, so it's ideal for businesses that primarily produce black business documents, but also need to print professional-quality color documents in-house from time to time. It also offers wireless printing from your mobile device via AirPrint, Google Cloud Print, Brother iPrint&Scan, Cortado Workplace and Wi-Fi Direct. Flexible Connectivity. Easy to install on your wired or wireless network or print locally via USB: from your computer. Mobile Device Printing. Wireless printing from your mobile device via: AirPrint, Google Cloud Print, Brother iPrint&Scan, Cortado Workplace and Wi-Fi Direct. Unit Dimensions (W"xD"xH") 16.1" x 18.3" x 9.4"
Unit Weight (lbs) <39.0 lbs. < Carton Weight (lbs) 46.5 lbs.